Carbohydrate(g): 68.00, Protein(g): 12.00, Fat(g): 9.80, Saturates Fat (g): 0.38, Trans Fat (g): 0.0..
At Timios, our mission is simple. We offer healthy, nutritious, tasty foods designed specifically for children. We understand that kids have specific dietary and nutrition needs. Our 100% natural and safe food products are crafted to ensure that eating healthy can be fun too so that kids can grow and develop optimally. Our top priority is to make you feel good about the food you eat. We aim to be a household food brand for kids. Fun, tasty and healthy. That’s the mantra we live by! 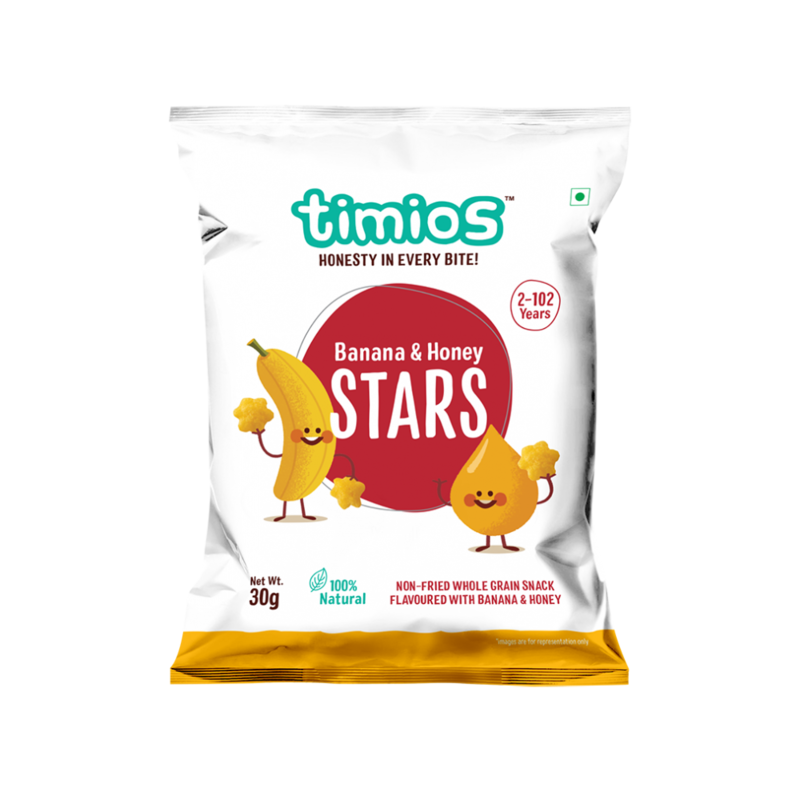 100% natural & yummy melt-in-the-mouth Banana & Honey Star Sticks . Your little one will love these savoury little sticks that are firm enough for their little fingers to hold, yet soft enough to melt in their little mouths. 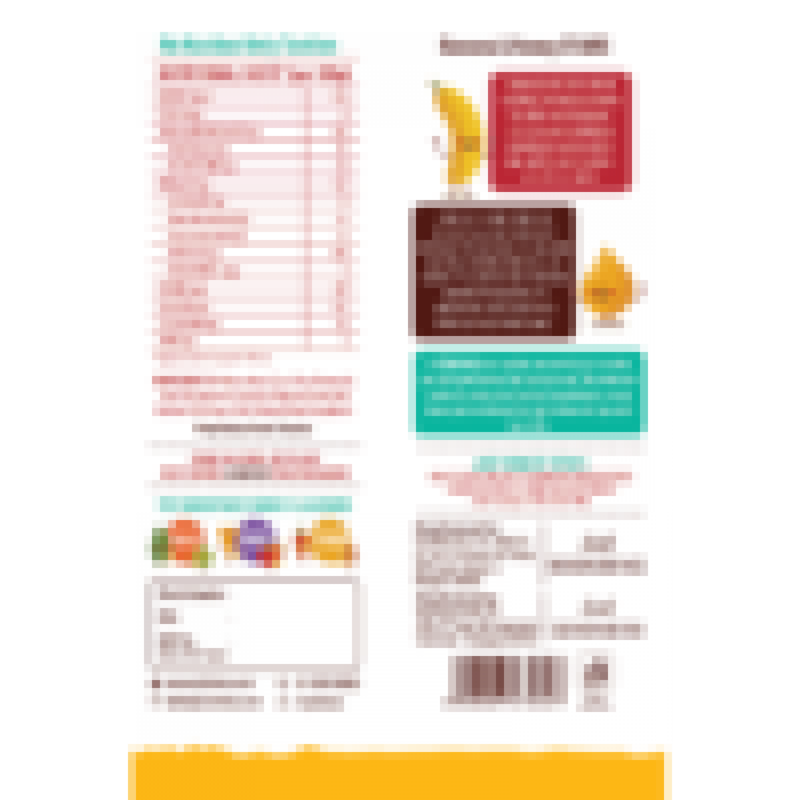 Ingredients:- Whole wheat, Corn, Rice, Moong dal, Ragi, Rice bran oil, Extracts of Natural Honey and Banana (4%), Sugar, Salt, Natural Mixed Tocopherol.